Some people really don’t want to die. Until a couple months ago, I had no idea the lengths to which some folks were going. I was strolling through a bookstore with LoraKim, and a book by Mark O’Connell caught my eye. 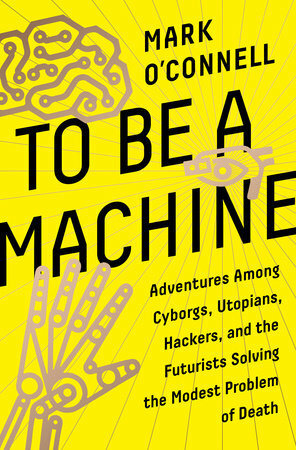 It’s called To Be a Machine: Adventures Among Cyborgs, Utopians, Hackers, and the Futurists Solving the Modest Problem of Death. I bought the book. I read about Alcor, a company that currently has 117 clients "who are no longer among the quick." (23) Alcor has frozen their bodies, for $200,000 each, or just their heads, for $80,000 each, until such time as science figures out a way to bring them back to life. I read about people who are working hard at developing 3-D brain scan technology with a view toward eventually being able to upload the full data into a computer that could then “run” that brain. This might be one of the ways of bringing back the cryogenically frozen people. Or any living person could, they think, have their personality transferred to a more advanced nonbiological carrier. 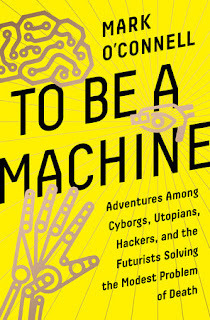 Human consciousness rendered into “platform independent code,” can then be booted up on whatever the most advanced computer around might be, and it would be the same personality and consciousness in the same way that a text is the same text whether it is manifested on a magazine page in Times New Roman, or on a computer screen in Arial bold, or on a piece of notebook paper in your handwriting. I read about other people who are working on neuroprosthetic replacements for brain parts. If you get a different part replaced by neuroprosthesis every year or two, eventually you have a brain consisting entirely of prosthetic parts, all of which are infinitely replaceable – giving you, voila, immortality. I read about biohackers enhancing their senses by implanting electronics under their skin. I read about other people who are taking a more biological approach, convinced that if they can just get enough funding, they’ll be able to reverse the cellular aging process and render our bodies eternally young. Whichever of the various strategies these people might be pursuing, they are all called “transhumanists,” and they share a sense that death is deeply wrong -- an affront. It shouldn’t happen, and we if we put our minds to it, we can figure out a way to end this scourge. Wouldn’t it be crushingly boring? How would we pay the pensions? And those are pretty weak arguments. I think we sense a much more compelling truth, but aren’t used to articulating it – so these short, bad, substitute arguments come out instead. Then de Gray mentions a point that he seems to take as a somewhat more serious objection. To avoid overpopulation disaster, we’d have to curb the birthrate: cut way, way down on children. The first point I’d make is: even if you could keep this body from aging any further, you can’t stop me from learning and changing. If you can’t stop me from learning and changing, then I’m gradually becoming a different person. This was vividly demonstrated for me just last night. Last night, I was at my 40th high school class reunion – the only class reunion I've ever attended. 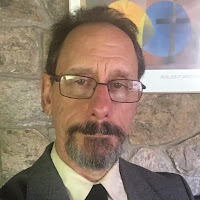 The experience of seeing these people that I spent many formative years with, but haven’t seen for 40 years was both strange and familiar, both centering and de-centering. It was a clear experience of how 40 years of learning and changing has turned us into different people. Certain ways the face moved, and the sounds of their voices were recognizable and familiar (but there’s no particular value in just keeping characteristic facial expressions and vocal tones around). When we were all in high school, we were not real estate agents and electricians and nurses and librarians and mechanical engineers and lawyers and ministers, and now we are. We were not spouses and parents and grandparents, and now we are. We aren’t the people we were. Also: we’re a lot more polite to each other now. So imagine the world 100 years from now. That world is going to have different people in it, no matter what. These different people might have habits of facial expression and of body movement, might speak with the vocal pitches, timbres, and cadences, might even have a few of the memories – of the people alive today -- but they will be different people. Or, those alive today might have been allowed to die and be replaced by younger generations. Either way, it’s going to be a world full of different people 100 years from now. Why should we want the world of 100 years from now to have the first sort of different people instead of the second sort of different people? This is part 1 of 3 of "Yay! Death!" Very interesting Rev Meredith. We are having a talk on transhumanism at our Brisbane Fellowship next month. This looks right on topic. PS. Fondly recall being in class with you and LoraKim in Jan at Meadville Lombard. Good to hear from you, Renee. We are built to strive to stay alive as long as we can -- the way a sports team is built to strive to win as much as it can. But if it the sports team really succeeded at winning ALL the time -- year after year after year -- it would lose its point. There's no particular reason to live any longer than we do -- except that we are built to try to. But we have been built that way within a context of ultimately, inevitably failing. The transhumanists, I fear, have selected one impulse given us by evolution and decided to elevate it to the supreme value while ignoring the context within which that evolutionary impulse made sense.